With this in mind, I thought it would be prime time to cover the sinister side of pressure-cooker online shopping season. No, not because of the risk of dropping thousands of dollars on things you don’t need - the worse outcome - dropping thousands of dollars on nothing at all! Not only is this important from a consumer perspective, I’ll be willing to bet that plenty of employees are jumping on company networks and doing a spot of shopping in their lunch breaks - making the crazy sales risky for your business, too. Get in on the Click Frenzy action this year? I’d like to call it the real start of the shopping season. The 24hr event, held November 13-14 is now in its seventh year. In its inaugural year it drew a crowd of 1.6 million visitors, which had grown to 2.5 million visitors by 2017. We also have another couple of entrants in the mega 24-hr sale sphere coming up fast: Black Friday and Cyber Monday. These one-day sales promise outrageous bargains from some of Australia’s biggest retailers, such as Myer, Sony, Bonds, and Air New Zealand. Black Friday and Cyber Monday are the US’s biggest shopping days, but they’re also carving out a path in Australia, too. And as awareness about these shopping events grows, so too do site visits - some industries (health and beauty) up by almost 50% year on year over 2016-2017 for Black Friday, and sales up overall by 16%. We no longer have to wait until the Boxing Day and New Year’s Sales - buy now! Sales like these I like to call pressure shopping. They make people go mad – literally, get in a frenzy. I remember a time when people were getting physically trampled in the Boxing Day Sales, clambering over each other for a bargain. It’s madness. And although physical safety is assured from shopping online, digital safety is not. Beware. Aussie consumers have reported over $2.7m in losses to online shopping scams so far this year - and that’s just what’s been reported. While it can be a great time to pick up a good deal before festivities kick off (or to buy yourself a pressie), it’s also a great time for phishing emails to circulate. If you’re running a business and staff are online shopping at work and/or accessing their private emails, then it’s not only their problem, but your problem too. During the holiday season, we’re doing more shopping out of our comfort zone - buying gifts for other people in categories and with retailers we wouldn’t peruse ourselves. This might not only be from a Google search - perhaps it comes via an inbound email, or a recommendation on social media. How might an online shopping scam work? The website may have a hidden payload inside that spreads malware. 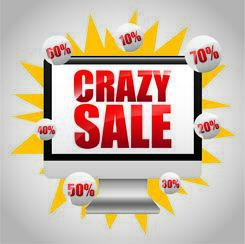 One-day sales like Black Friday put the onus on the customer to complete purchases as soon as possible, in case they lose the deal to someone who was quicker to click. The issue with this type of selling technique is that it’s also a technique used in phishing. The time critical tactic is a classic technique used to encourage targets to put aside their usual routine and checks for validity. With buy now pay later options like AfterPay available, which experienced a 700% increase for fashion retailers alone (between 2016-2017), the barriers to purchase in an instant are even lower. Letting the drive for grabbing a bargain overtake common sense can be a fatal mistake. Consumers in bargain mode might see a one-day sale in their Inbox or on socials and simply click, click, click - because they’re already in that shopping groove - throwing regular security measures out the window. This kind of mindless scrolling and surfing is synonymous with mobile use - bored on public transport, downtime at the desk, waiting for a breakfast buddy, in bed before sleep. Considering that mobile purchases have increased two-fold over the past 2 years, this makes mobile shopping perhaps even more vulnerable than desktop. It’s not just fake retailers that can trick consumers. There are other businesses involved in this chain that can also be mimicked – such as parcel delivery, tracking notifications, and banking services. We receive 10s, even hundreds of these messages across the course of the silly season - so it’s important to be able to weed the legitimate from the illegitimate. I wrote last year about a fake DHL email that was doing the rounds which contained a trojan payload. Australia Post has just put out a similar bulletin about a scam email that looks to be from them. You’ll already be aware of faux banking emails, too, such as these Commonwealth Bank examples, or similar ANZ phishing attempts. There were even some fake bank apps available briefly on the Google Play store last year. Avoid clicking through links on emails or downloading files unless you’re 100% certain that the sender is who they say they are. It’s always best to use a multi-layered approach with security. It’s just as important to fortify your business’s fortress in a technical sense as it is to educate your team as consumers and build a cyber-security culture. I recommend MailGuard for beefing up your business email security, helping weed out the phishers and disable or quarantine likely hidden trojans in messages. It helps fight against those emails that look legitimate to the naked eye (be aware of how to spot a legitimate email address!). 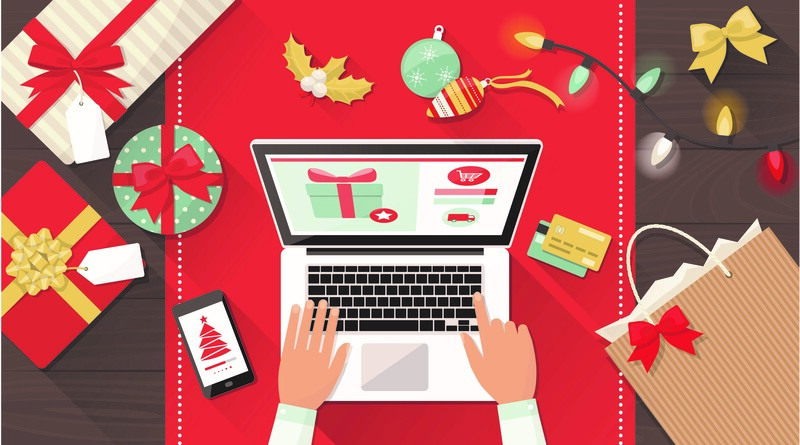 Take the silly season as a good chance to give your staff a security refresher on the dangers of these types of online shopping events. Encourage your network to do the same to promote a wider security culture. Share this article with them before they get to clicking. You can download our exclusive whitepaper on this topic here.